More February anniversaries. 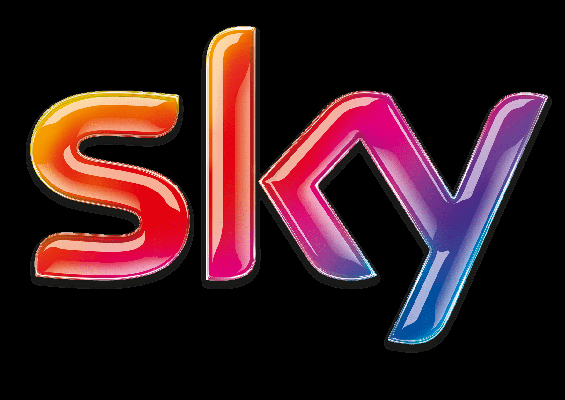 Sky TV is 30 years old this month. Launched by Rupert Murdoch on 5 February 1989 at 6pm, it had a shaky start and haemorrhaged money for several years to the tune of millions of pounds a week but merged with BSB and eventually turned round to make a tidy profit. As befits a high-tech operation it has not only the Sun but New Moon as well and Venus all in airy, IT-oriented Aquarius. The 5th house of sport and entertainment is well-populated though changeable, with Uranus, Saturn, Neptune in Capricorn there. But what really marks the chart out as special is a successful Jupiter in Taurus in the 10th hinting at success in later life; and even more so a ruthlessly determined Mars in Taurus opposition Pluto square Sun and Moon – so when push came to shove, there was no doubt who’d win through. And Regulus, the regal planet, is on the late Leo Ascendant. 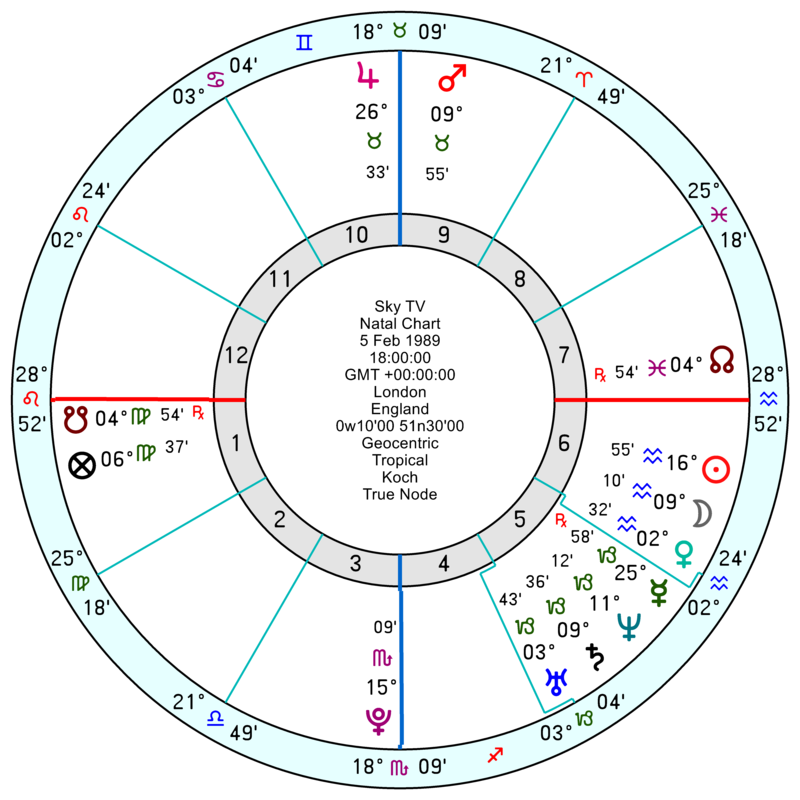 There’ll be a period of some forced change and disruption as tr Uranus moves into hard aspect round Mars, Moon, Pluto and Sun between 2020 and 2023. 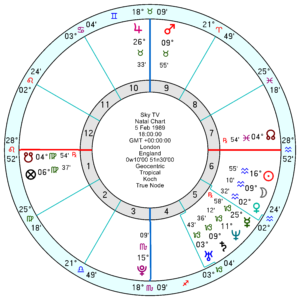 But also a confident and successful push in 2022/23 when tr Pluto will trine the Sky Jupiter.